Tester is available in two sizes and is designed for testing of 6 specimens max. dimensions 200 x 200 x 200 mm, or 3 to 12 specimens of max. dimensions of 150 x 150 x 150 mm. 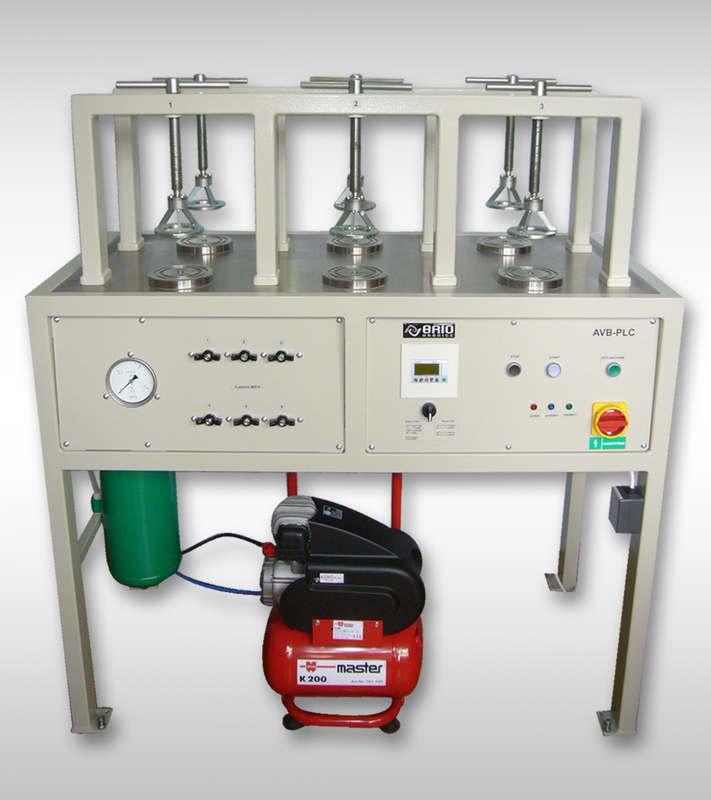 We produce RVB tester with manual regulation and automatic AVB – PLC tester. Automatic AVB – PLC tester enable testing without service person. Pressure and time is set on PLC, water level is indicated by indicator lights. There are also indicators for pressure drop, power failure and battery backup. Battery backup can run tester for 8 hours in case of power blackout. Tester is delivered with water supply from below – RVB. The tester can be adjusted to supply water from the top – RVH. Hydraulic concrete broker is among accessory. We also sell water permeability testers from Form + Test. Water permeability testers are also sold with device BL 150 for breaking concrete cubes.